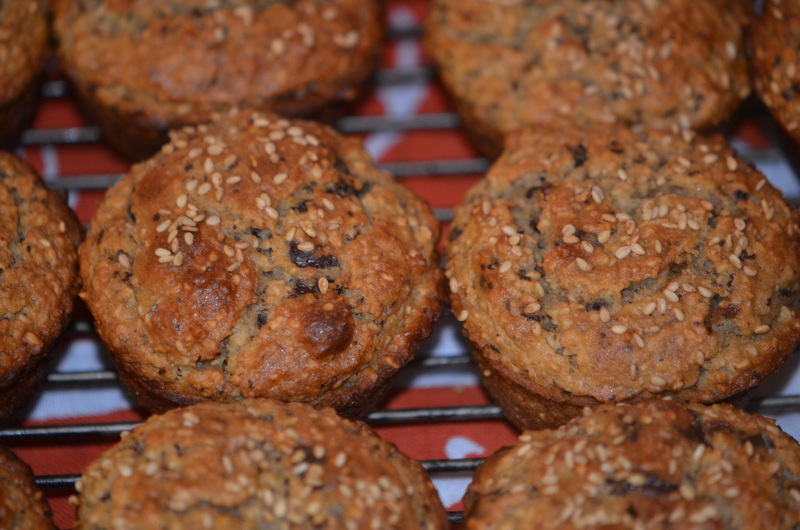 an idea to combine sweet banana, nutty sesame and refreshing extra virgin olive oil. Of course, tangy yogurt and aromatic satsuma pair well with olive oil and lends to the Mediterranean flavors of the pastry. Rich dark chocolate is almost a must when orange is involved and goes incredibly well with the earthy sesame seeds. 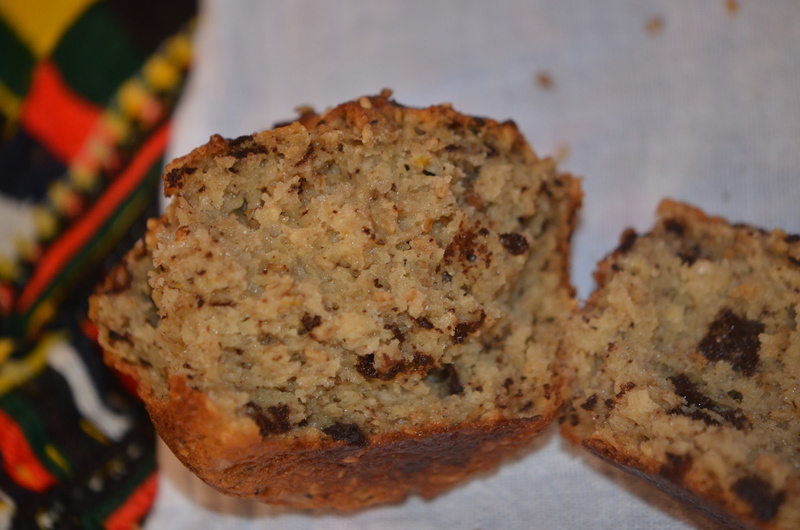 Two very ripe bananas and one juicy pear led to a muffin with a subtle banana taste and a bright burst of flavor from the pear. Thanks for eating some of those overly-ripe bananas, munchkins. You always make my baking better, even with you pilfer the ingredients. Thank goodness I didn’t leave the dark chocolate on the counter next to the bananas. 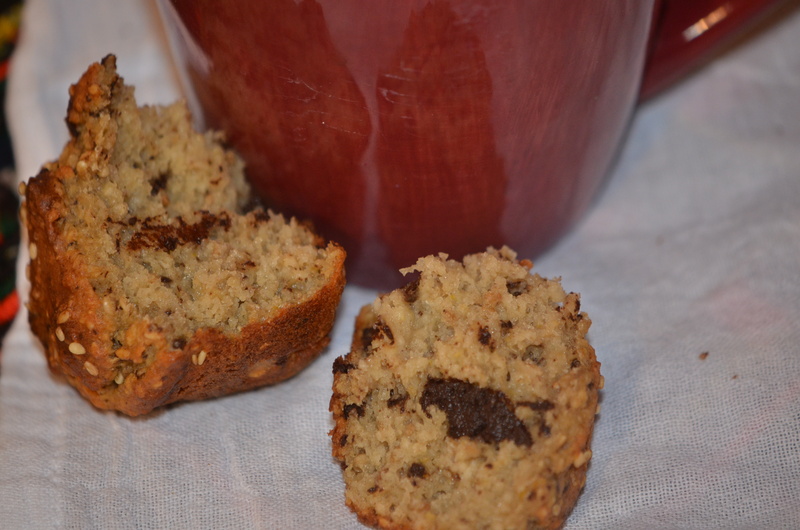 There really is no undoing chocolate thiefdom – the result is, quite simply, superbly sad muffins. 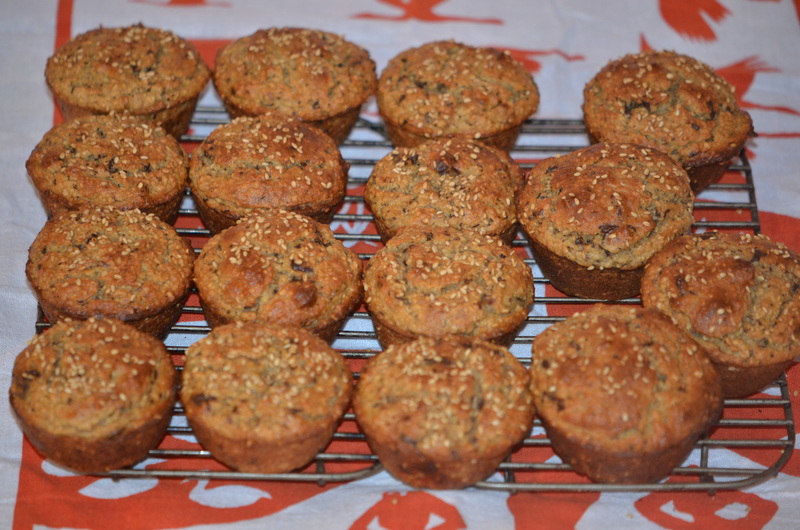 I like to make double batch of muffins and freeze them for breakfasts on-the-go. 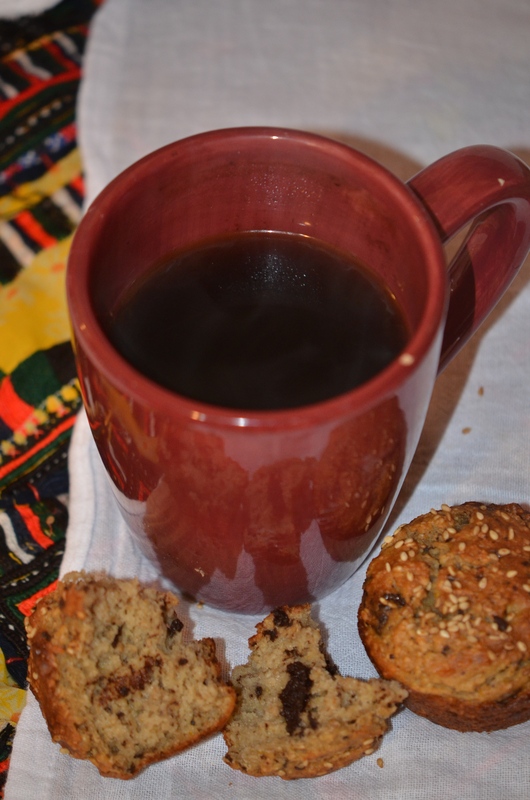 The gluten-free, luscious and healthful treats are especially exceptional mid-morning with a cup of steaming hot coffee. Chocolate for breakfast? Absolutely! Why not… you only live once. Anyway, think of all of those antioxidants! And let’s not forget all of that gorgeous, vitamin-rich fruit in the muffins. One more reason to have dark chocolate before noon! Not that a reason is needed, per say. 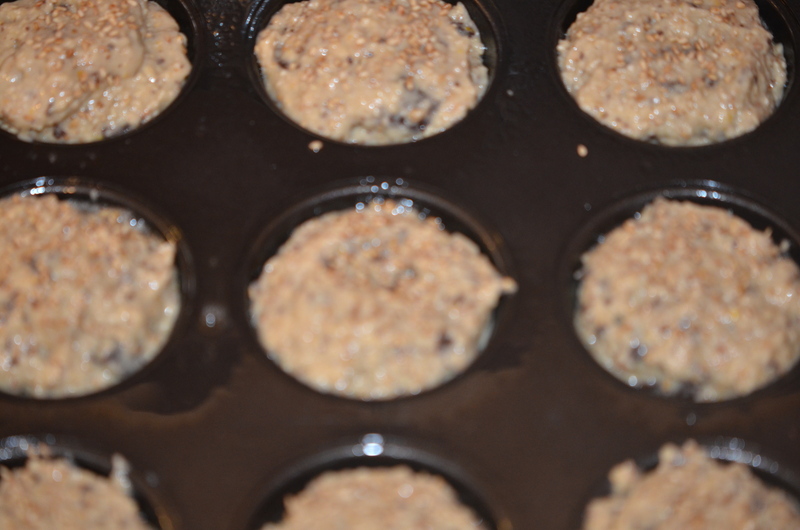 cooking spray, to grease the muffin tins. Preheat the oven to 350•F. 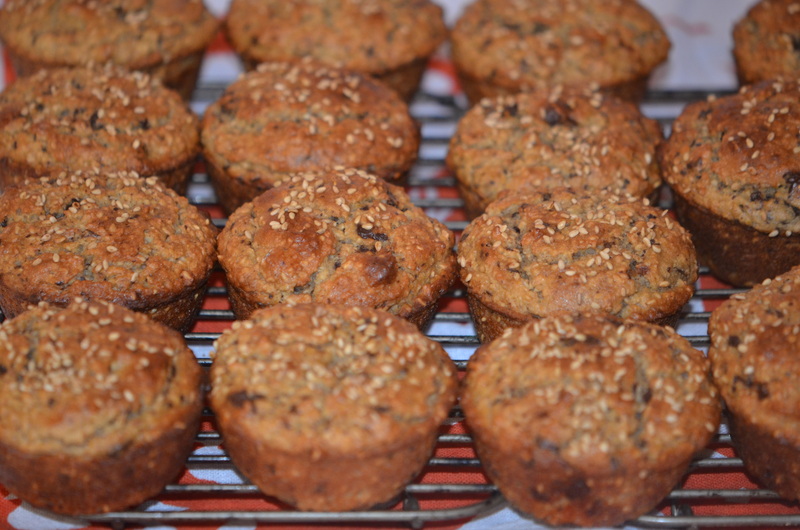 Spray 17 muffin cups (from two muffin pans) with canola or coconut oil cooking spray. Combine the wet ingredients in a food processor. Process until very smooth. Whisk the dry ingredients in a large bowl with a metal whisk. Use a rubber spatula to combine the wet ingredients into the large bowl with the dry ingredients, just until completely incorporated. 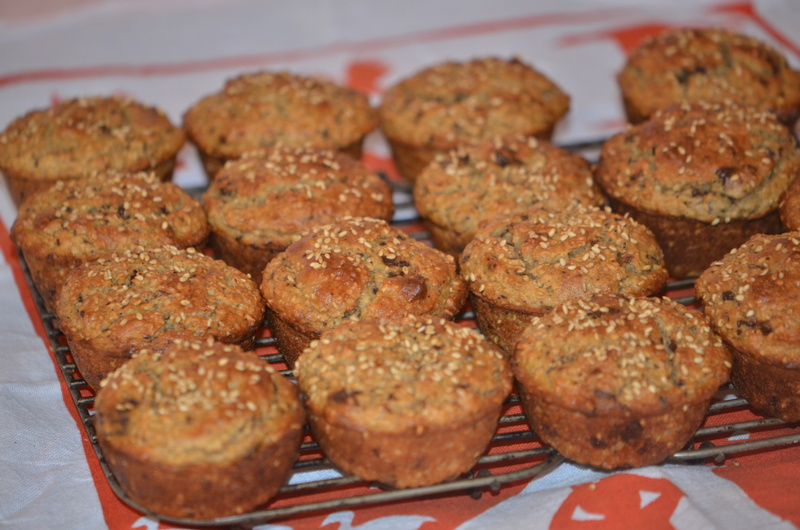 Sprinkle the top of each muffin with a bit of sesame seeds, about 1/2 teaspoon per muffin. Bake for 30-35 minutes, until a toothpick inserted into a muffin comes out without batter, and the muffins are a light golden brown hue. Store on the counter in an airtight container for several days to a week – or in the freezer for up to six months for breakfasts on the run. Posted in Dairy-Free, Gluten-Free, Healthy + Sweet Treats, lactose-free, RecipesTagged dark chocolate, extra virgin olive oil, Olive oil, sesame seedsBookmark the permalink. Satsumas are so flavorfuly pleasing with great aroma. I used them to flavor panna cotta, and here you used them for muffins. Yum! You are the Queen of Muffins! my mom also add sesame to almost her banana based cake too, what a coinsidence…..
Isn’t it amazing how children bring out our creativity? Yum again! It’s been slow in our kitchen lately as I had a nasty and painful side effect from the surgery last week. Now you have me craving these muffins and I can’t have them, arg! I do so love orange and dark chocolate together. 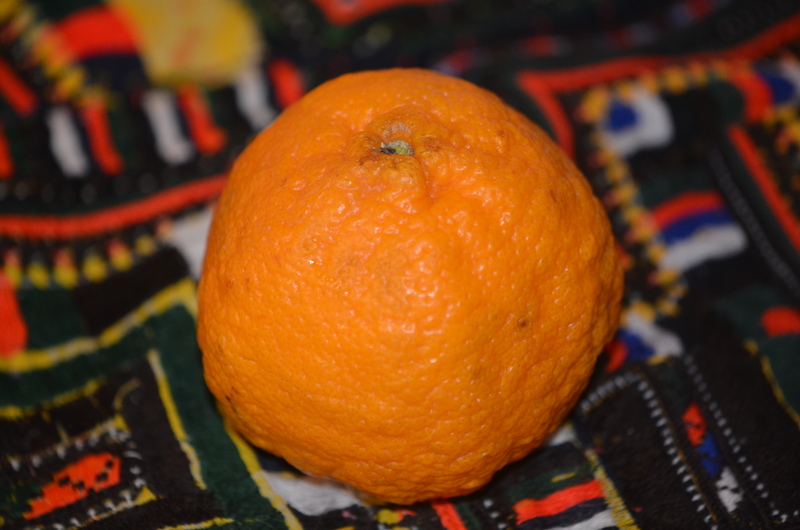 I love satsumas, this must have been not only delicious but it must have made your house smell wonderful too!